North Wales is the perfect destination for mountain biking, with graded trail centres, big mountains and remote singletrack: there is something for everybody. Families will love the purpose built destinations with cafes and lots of helpful facilities. Downhillers will rave about the bike parks with uplifts and some very challenging trails. Those looking for a challenge or a big adventure will find it in the hills and valleys of North Wales! Whether its a day out, weekend break or holiday, North Wales is a great place to go mountain biking. Here are some of the highlights. Coed-y-Brenin near Dolgellau was the first and is still one of the best in the UK. It has a great cafe, good bike shop with a good selection of rental bikes, lots of car parking and eight purpose built mountain biking trails graded from green (easy) to black (difficult/expert). Coed Llandegla just east of Wrexham, with similar facilities to-Coed-y-Brenin, has quickly established itself as the one of the best trails centres in the UK. It has four trails graded green to black. These are well suited to anybody; from families to serious riders and anybody in between. With good facilities on site,including walking trails, they will also appeal to non-mountain bikers. Other trail centres include the Marin Trail near Llanrwst, Penmachno near Betws-y-Coed and Nant-yr.Arian near Aberystwyth. These are designed for the intermediate to advanced rider with no facilities on site and just one trail typically between 20 and 30 km in length. You should come prepared with spares and a first aid kit for these trails and as such are more suited to experienced riders. Looking for some serious terrain to ride down? Don’t want to pedal uphill? Bike parks are for you! You can book an uplift at Antur Stiniog near Blaenau Ffestiniog and ride one of five downhill mountain bike trails graded blue to black without having to pedal up a single hill. On site facilities are limited to a visitors centre and cafe but there are lots of options including accommodation in Blaenau Ffestiniog. For the more serious (or fearless) riders there is Revolution Bike Park in Llangynog. Here you will find five trails graded red to black plus a pro-line. This is best suited to intermediate to advanced riders with downhill bikes, full face helmets and body armour. There are no facilities on site so make sure you are self-sufficient. Some people like to earn their big descents and in Wales they don’t come any bigger than Snowdon. This is a great day out and if the weather is kind, you can see for miles. There are three bridleways to the top: Llanberis Path, Rangers Path and Rhdud Du. Most people start in Llanberis riding up the Llanberis Path which, depending on your skills and fitness, is up to about 80% ridable. Coming down you can either head back down the way you came up or go down the Rangers Path and then head over to Telegraph valley to take you back to Llanberis. Rhudd Du is best avoided as it has an exposed ridge line with steep drops; not a good place to be if the wind gets up. Please note there is a ban on cycling on Snowdon between May and September between 10am and 6pm. Another big mountain option is Cadir Idris, near Dolgellau. It’s an out and back route with a mix of loose rocky trails and double track. The top section is particularly challenging in either direction. 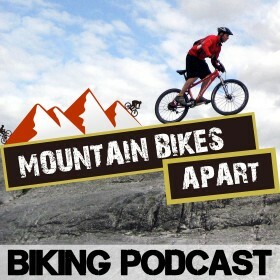 Here is a video of Dan Atherton riding the Back Country. There are some cracking wild rides in North Wales where you won’t see another person all day. Going clockwise, as a gentle introduction, there are lots of trails in Clocaenog Forest and Hiraethog Moors in the north east. Heading south you have the big wayfarer route in the Berwyn Hills for those who like to spend a long time in the saddle. Moving west towards the coast there is the fantastic Pont Secthin which has steep climbs and rough descents; and then finally heading north, the challenging Llyn Cowlyd, which is the biggest challenge of the lot! With the exception of Hiraethog Moors, all these trails are as far removed from a trail centre as you can get. They are natural, beautiful and very challenging both in terms of fitness and skill level so are best for intermediate and advanced riders only. This article was written by Christian Newsome. He runs Hit the Hills which provide full-board mountain biking accommodation in England and Wales including Coed-y-Brenin. North Wales sounds like fun. It’s sad I wouldn’t be able to visit until next year. Can you tell me which mountain bike is the best for big mountains? Here you leave no option without like it. It really nice and video also amazing. Most amazing part of it’s the mountain area which you give. It’s nice one.